I’m wrapping up this three part series on smoothies today. If you haven’t read them already, click here to read the first post about what I put in my smoothies, and click here to read part II on how I layer the smoothies and what I like to put on top. 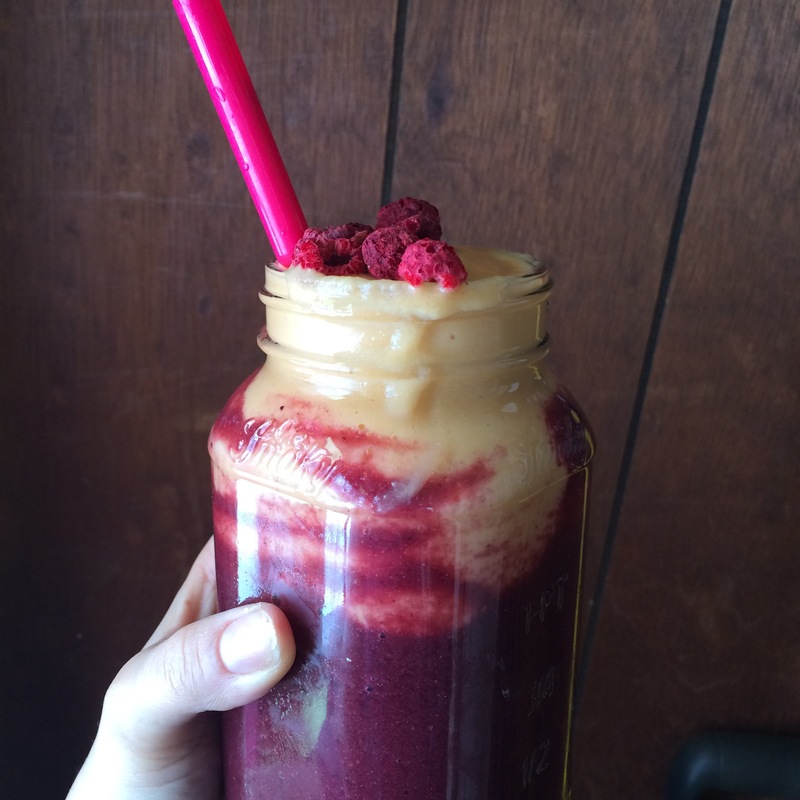 Part III is all about smoothie inspiration! I find that instagram is a great place to find inspiration for smoothie recipes, ideas and techniques. So, here are my favorite instagram accounts for health food inspiration. 1. amillionmiless is a great instagram feed for all kinds of incredible health food recipes and beautiful photographs. Don’t these juices look mouthwatering? Her smoothie bowls and energy balls are just as delicious-looking. She also has a blog with recipes – A Million Miles. 3. anneem83. Lots of great smoothies and juices, plus a lot of humor! She also has a beauty channel on YouTube called My Invisible Chrysalis. 4. liverawlicious is another great instagram feed for smoothie and raw food inspiration. I aspire to make such lovely smoothie bowls! Tell me what some of your favorite instagram feeds are! 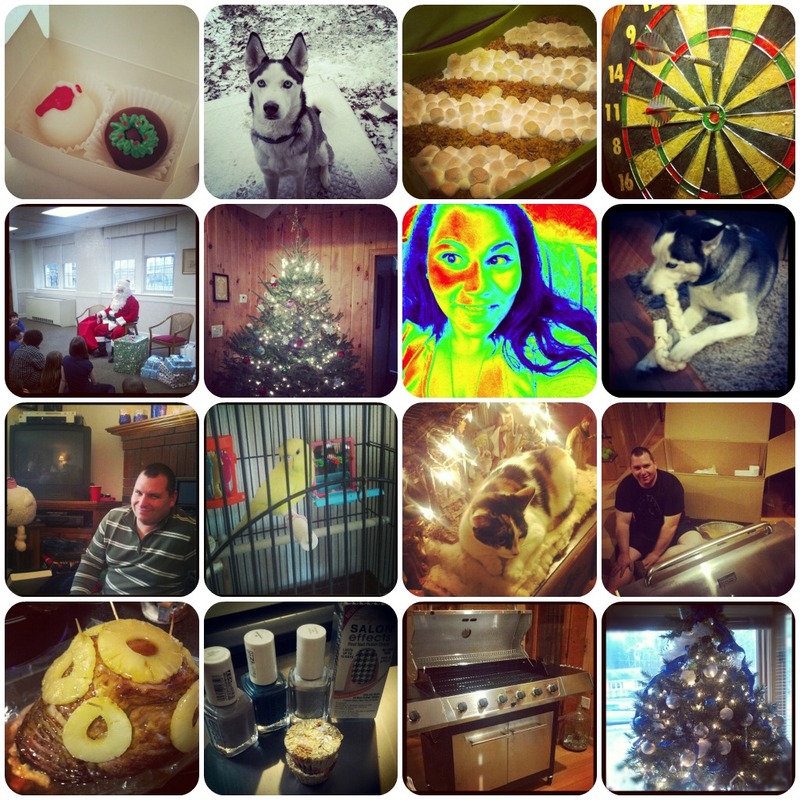 Last year I participated in instagratitude2012 – and this year, instagratitude2013 has begun! It’s a fun instagram project started by Jeran at Oleander and Palm (one of my favorite blogs – check it out!). 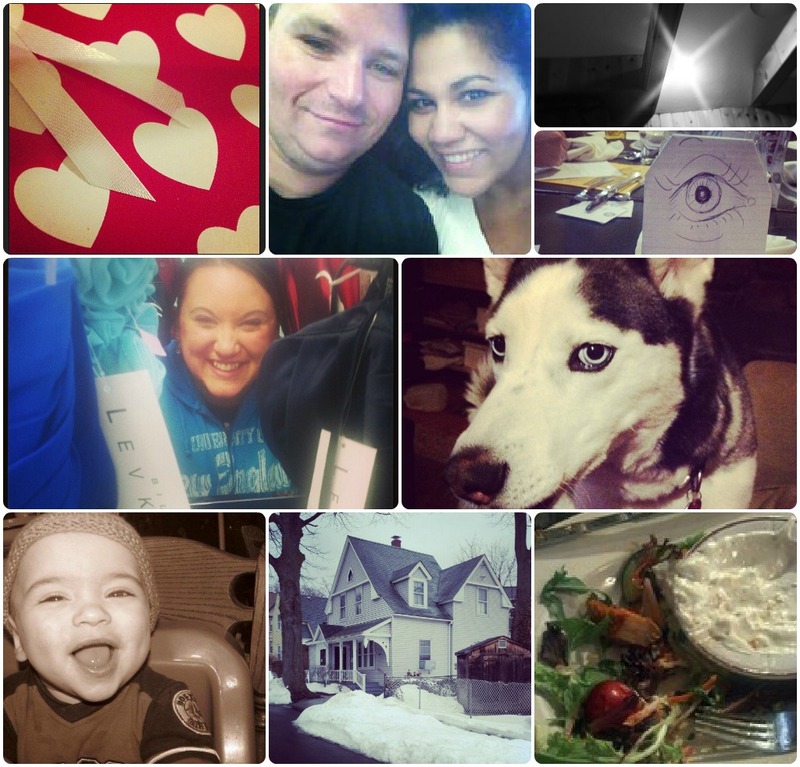 For the 30 days of November, the goal is to take a photo of something you are thankful for, then post it to instagram with the hashtag instagratitude2013. It’s a great way to usher in this Thanksgiving and Christmas holiday season – posting a photo of something you are grateful for each day gives you reason to stop for a moment and appreciate all the blessings that surround you. I find this really calming and helpful at a time when I’m usually fretting about what to cook for thanksgiving or about what Christmas gifts to buy. You can read more about #instagratitude2013 here. Anyone can participate – just share the things that you are thankful for. It’s also fun to see what other people are posting at the same time. 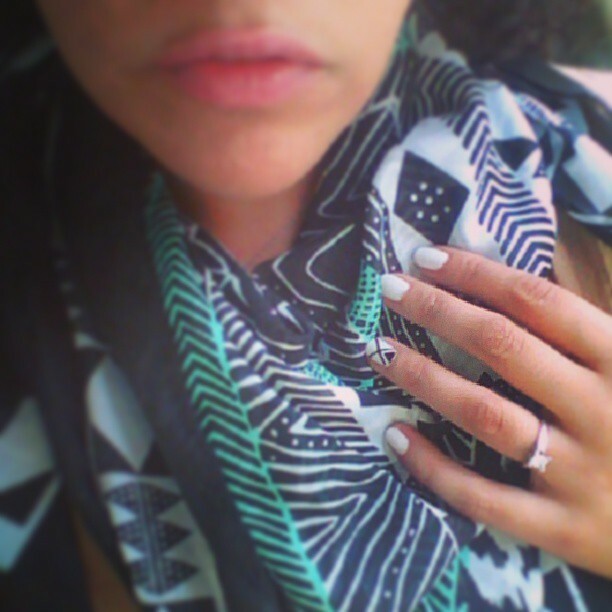 Sometimes, if I’m in need of some inspiration, I’ll do a search on instagram for #nails. Lots of great images always come back! 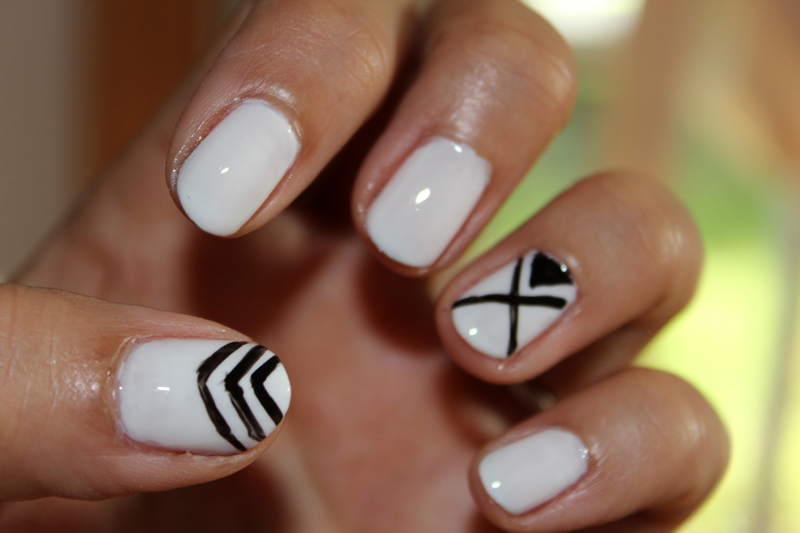 I found a photo of some great black and white nail art and knew I wanted to try it (you can see the original image here). I’d love to see some of the nail art YOU do, or some of the inspiration you find! Share images on the MixedMethod facebook page or tag me in your photos (@mixedmethod) on instagram! 19 out of 28 days ain’t so bad. 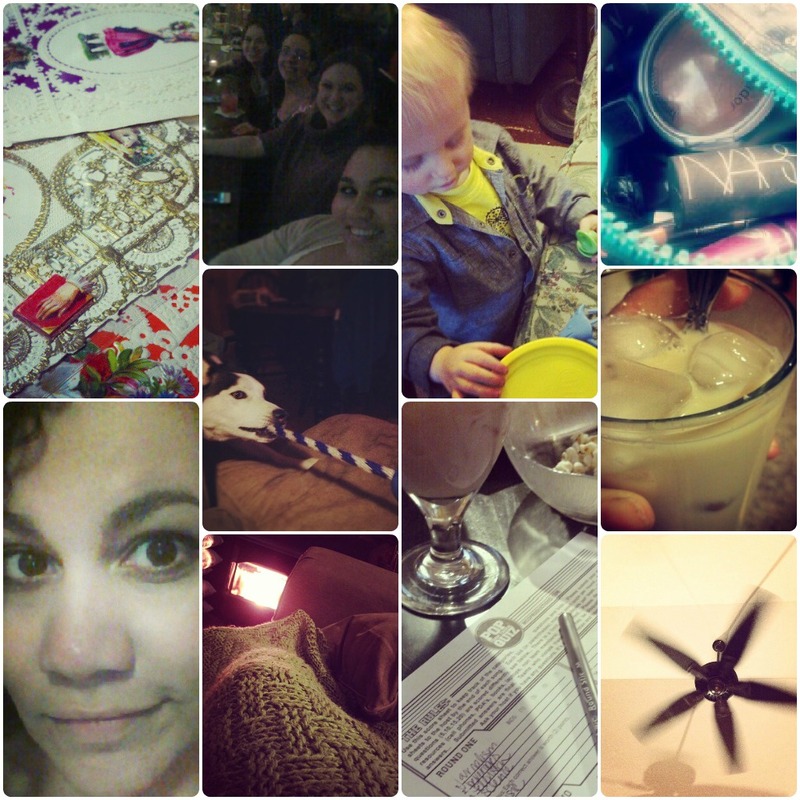 And now I’m seeing a bunch of March Photo-a-Day photo prompt lists. But, I think I’ll sit out for March. Any of you thinking about a photo challenge? I think it might be fun to create my own to post on the blog for an upcoming month. 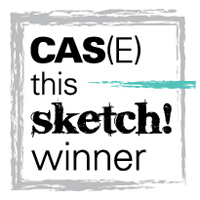 If anyone has any nice photo-prompt or photo-challenge ideas, please don’t hesitate to leave a comment! 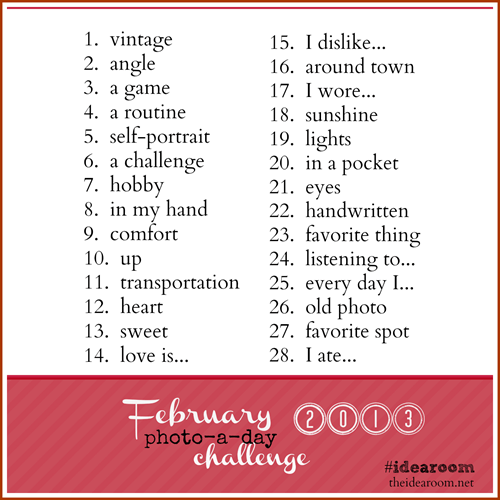 Be sure to check out The Idea Room’s post on the photo-a-day challenge for this month. I like her prompts because they are simple and allow lots of room for creativity. Plus, she makes it a point to say that if you skip a day – or 4 – it’s OK! I can work with that. Add the hashtag #idearoom to your instagram photos and follow along with others who are joining in like me! It’s a short month so I think I’ll be able to pull this one off! :) Follow me on instagram @mixedmethod! Christmas 2012 was a lovely one. Lots of quality time spent with family, lots of good food, LOTS of desserts (I really need to step up my diet game now). It even snowed a bit on Christmas morning which made the day extra special. I thought I’d share some of the photos I took from the day. Cakettes from my boss at work as a yummy Christmas gift. Mine were eggnog and red velvet flavored. Radar was very happy to wake up to a white Christmas on Christmas morning. A Pre-Christmas friends Christmas dinner for which I made another of the brown butter sweet potato casseroles. Played darts at the Bro- and Sis- In Law’s on Christmas Eve and I had to document my one of TWO bullseyes. Pretty proud of myself. My Honey Santa all dressed up to give out Christmas gifts to the Sunday School kids. Our tree – steadily gaining ornaments each year. Radar knawing on his favorite gift. He turned 6 the day after Christmas and got yet another bone! Lucky dog. Gearing up to put together D’s Christmas gift! A delicious Christmas ham courtesy of my mother. Some of my stocking stuffers – Essie polishes, Sally Hansen nail wraps and some peanut butter cups. Santa is so good at his job. D’s gift all put together – he was so excited and we both can’t wait to fire it up! Now that Christmas has come and gone, it’s time to start thinking about 2013! Have you started thinking about your New Years resolution? 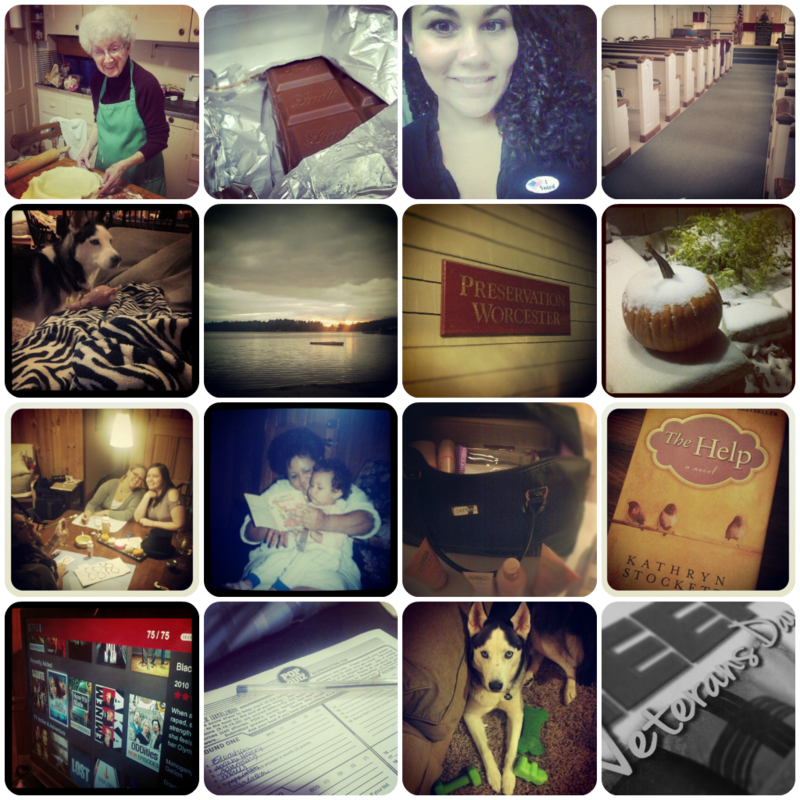 The 30 days of the November Instagratitude2012 project have come to and end. Not too long ago, I shared the first half of my instagratitude2012 posts and as November 30th has come and gone, I thought it would be nice to share some photos from the second “half.” I found the project really fun and thought provoking. On a daily basis I was making it a point to look around me and find things that inspired me and made me feel grateful – something I should do more often every month.